Joseph and Child Garden Statue 20"
Roman, Inc., St. Joseph and Child Garden Statue 20"
The exquisite St. Joseph and Child Garden Statue is finely crafted with lifelike details. It is made of a durable stone mixture and has a beautifully weathered finish. 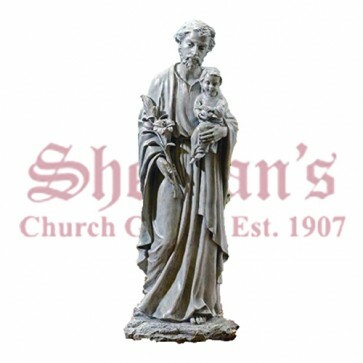 Gorgeous St. Joseph statues are ideal for churches, homes and garden spaces. According to tradition, St. Joseph was betrothed to Mary when he learned she was pregnant by the Holy Spirit. Saint Joseph is the patron of carpenters, families, fathers, gentle death and married couples. 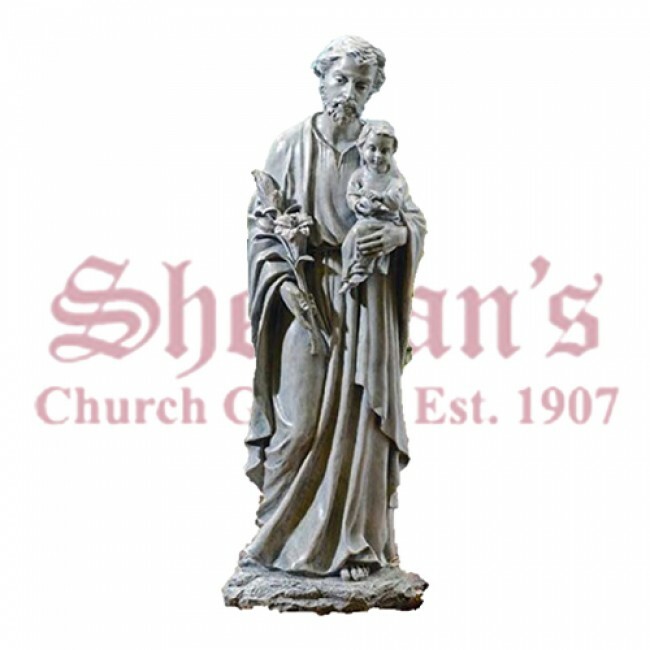 It is also believed that a St. Joseph statue can be an asset when selling real estate. You're reviewing: Joseph and Child Garden Statue 20"